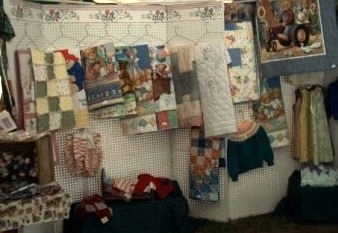 Visit the Quilts, Crafts & More tent for lots of interesting home-crafted items! In 2012, this project contributed over $10,000 to the Sale! Your donations help make this venue a success. If you have such items you wish to donate, please contact Lois through the "Quilts, Crafts and More" category in our Contact Form.